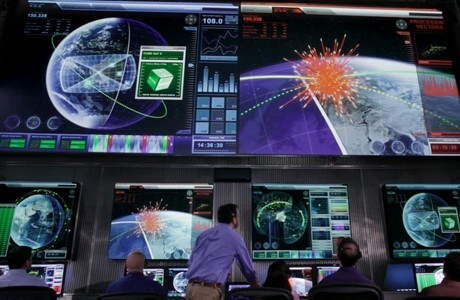 Lockheed Martin is currently developing its technology solution for Space Fence, a program that will revamp the way the U.S. Air Force identifies and tracks objects in space. Space Fence will use S-band ground-based radars to provide the Air Force with uncued detection, tracking and accurate measurement of space objects, primarily in low-earth orbit. The geographic separation and the higher wave frequency of the new Space Fence radars will allow for the detection of much smaller microsatellites and debris than current systems. Additionally, Lockheed Martin’s Space Fence design will significantly improve the timeliness with which operators can detect space events which could present potential threats to GPS satellites or the International Space Station. Space Fence will replace the existing Air Force Space Surveillance System, or VHF Fence, which has been in service since the early 1960s. The new system’s initial operational capability is scheduled for 2017. With more than 400 operational S-band arrays deployed worldwide, Lockheed Martin is a leader in S-band radar development, production, operation and sustainment. The Lockheed Martin-led team, which includes General Dynamics, AT&T and AMEC, has decades of collective experience in space-related programs including sensors, mission-processing, cataloging, orbital mechanics, net-centric communications and facilities.